I-74 W to Batesville Ext.,take SR229 North thru Oldenburg to Rt.on Hickory Rd. 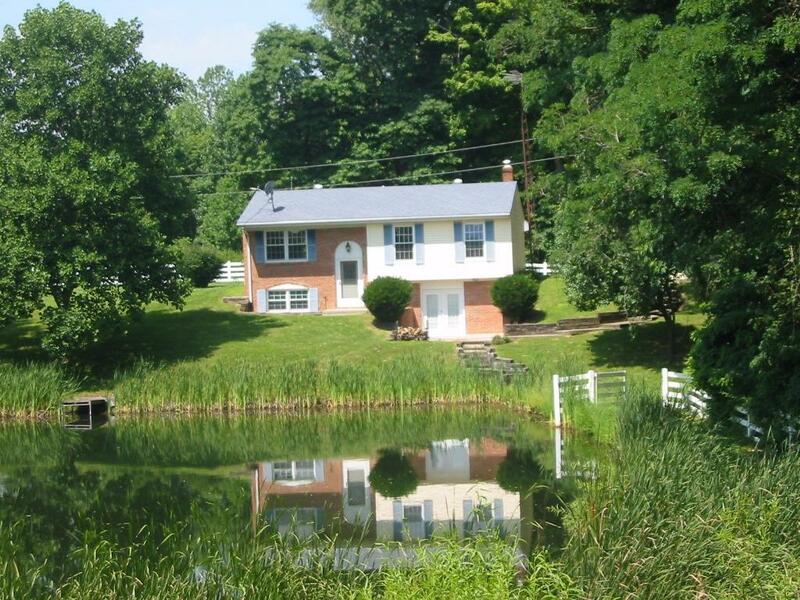 Unique home on 8acres w/pond, super nice det.garage w/workshop & 45x36 barn w/water & electric. Home has huge 2nd kitchen.in LL, freestanding WB Stove,full bath on each level, 16x10 cov.deck, new french doors exit to patio, newer vinyl windows & roof,vinyl fencing, minutes to town yet far away from it all! Nice!